I worked on this commissioned sculpture with the help of sculptor friends Zhang Yaxi and Shen Xiaonan in China, during May 2006, then had it cast in bronze and shipped by container to Dublin port. 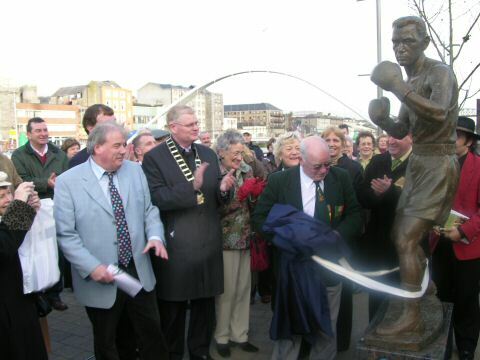 It was inaugurated in the presence of city officials and Tony Sox Byrne himself in december 2006, and is now permanently located on the South bank of the Boyne river, close to a footbridge, just along from the "D" Hotel and a busy shopping mall in Drogheda. A monumental sculptor has many challenges when recreating a subject's likeness... Tony and his family were pleased with the result, and so were the Committee who commissioned the sculpture. 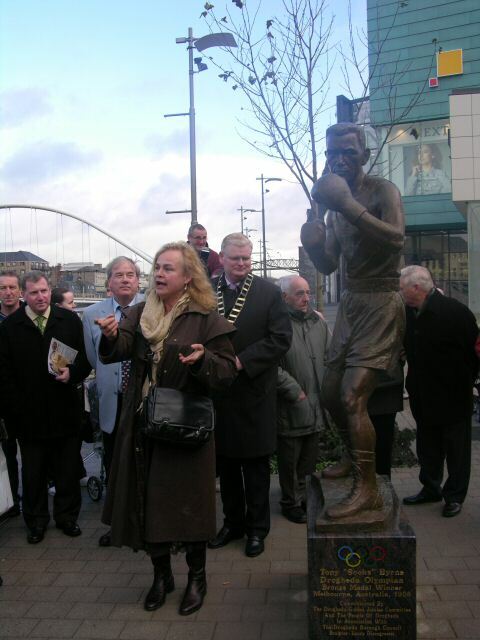 Tony "Sox" Byrne himself, who won a bronze Olympic medal in 1956, pulling off the veil at the unveiling of this lifesize sculpture commission in 2006. 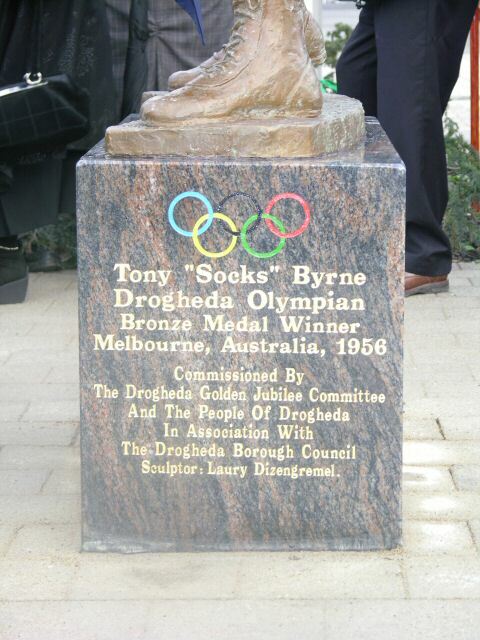 This event was timed for the 50th anniversary of the 1956 Olympic Games in Melbourne. 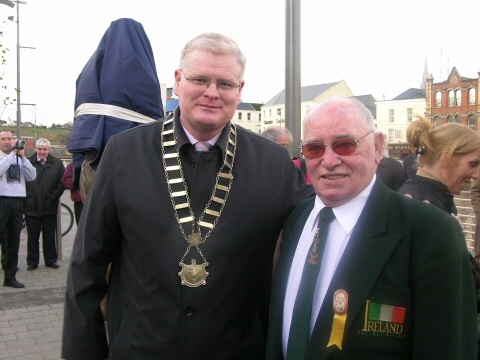 The Mayor of Drogheda and Olympic boxing champion Tony Byrne at the opening ceremony, just before the unveiling of the sculpture. 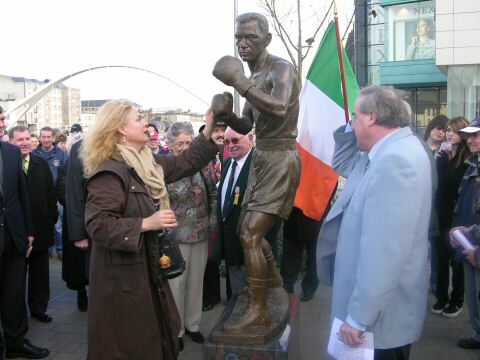 There was also a father (priest) who blessed this commemorative statue and all present! 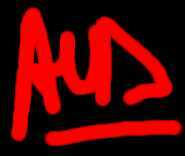 See my Artist Statement for this public sculpture. See also images of this lifesize sculpture in progress.